Getting too many emails from your email discussion list? Are they drowning out your work and personal emails? 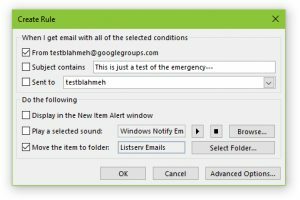 Use Outlook? 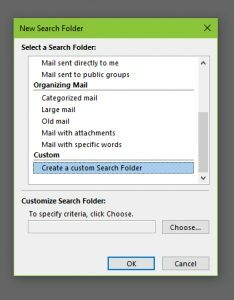 Want to know how to filter listserv emails in Outlook? Here’s how to put your list emails into their own folder in both Outlook, desktop version. 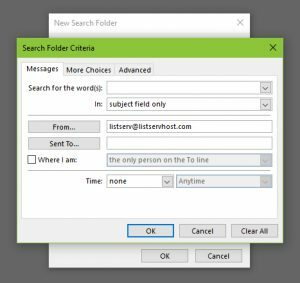 See here for another guide on how to put emails in their own folder in Outlook, the online version. 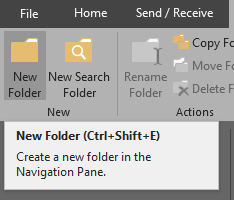 There are two ways to do this in Outlook for desktop. 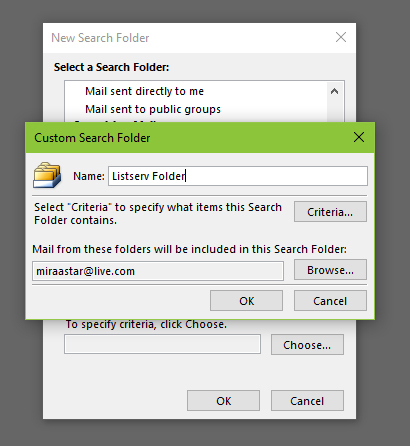 You can create a “Search Folder,” which will only bring up emails that you tell it too. 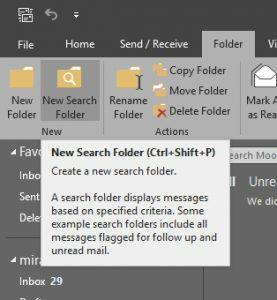 (Without removing the emails from your main inbox.) Or you can create a new, regular folder and a “Rule,” which will move the mail from your inbox to that folder. In the “From” field, add the email address of your listserv. Or double-click “From…” to select it from your contacts. Then click “OK.” Click “OK” again. And click “OK” a third time. 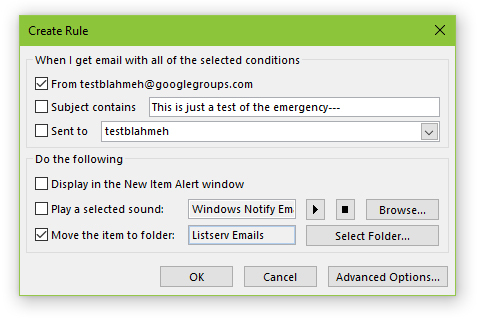 You should now have a folder that will only show emails from your listserv. This won’t keep them from cluttering up your inbox however. For that you’ll want to create a different kind of folder and create a “Rule.” For this method you will have to already have received at least one email from your discussion list. Now go to the “Home” ribbon or tab and click “Rules.” It should be near the middle. Congratulations! 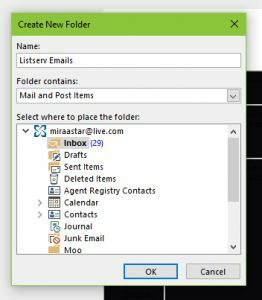 You’ve set up a new rule that will transfer all your listerv emails into a new folder!